Asbestos has a very long history of use, with new research indicating that it dates back to at least the late 1100s. Unfortunately, asbestos has been proven to significantly increase the risk of serious medical problems including lung cancer, mesothelioma and asbestos. Those who are exposed to asbestos in old buildings or in other old materials using asbestos could become very sick. Breathing in asbestos particles can result in scar tissue forming on the lungs that, over a period of decades, will develop into the life-threatening lung conditions that have been linked to the asbestos silicate fibers. Those who are exposed to asbestos may be able to take legal action with the help of a Boston mesothelioma lawyer to recover compensation from the manufacturer or others responsible for the exposure. According to Live Science, researchers from UCLA discovered white asbestos, or chrysotile, underneath the finish coating of 12th-century paintings in the Byzantine monastery Enkleistra of St. Neophytos. The early painters apparently used the silicate mineral in order to provide a smooth layer for the painting that had a mirror-like appearance. It is believed that the monks wanted the asbestos to add more shine to that particular layer of the painting. Researchers discovered the asbestos when analyzing the monks’ paintings using techniques including ultraviolent light, infrared technology and x-ray fluorescence imaging. Micro-samples of the paintings were also taken so that their elemental and elemental and molecular makeup could be carefully studied using powerful electron microscopes. 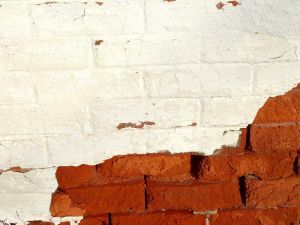 The asbestos-rich layer was found in between a layer of red paint and a plaster layer that was mostly comprised of plant fibers. The researchers were reportedly surprised to find the asbestos used in this context, especially as the main deposits of asbestos came from a high elevation area around 38 miles away from the monastery. This led to speculation that there may have been interregional trade going on involving the asbestos. Asbestos has a long history of use in art, as well as in the construction industry. For example, around 4,500 years ago, asbestos minerals were mixed with clay in the production of pottery and around 2,000 years ago, textiles were interwoven with asbestos fibers in order to make fireproof napkins used during cremations. Asbestos, at this time, was considered to have magical powers. From its early use in different types of creative works, asbestos was widely adopted during the 19th century for industrial use. Asbestos was used in wall plaster; cement; roofing; joint compounds; fire-retardant coatings and a huge variety of other items in order to make the materials more durable, easier to install and more resistant to weather. Unfortunately, the widespread use creates a significant risk of exposure and means that there are likely to be cases of mesothelioma and other conditions related to asbestos-related exposure for decades to come.